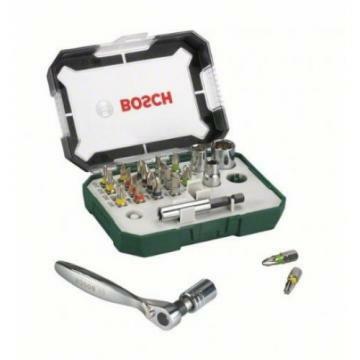 Bosch Screwdriver Bit and Ratchet Set has made screw driving easy. High-grade set with 25 mm long screwdriver bits, standard nut setters and ratchet for various screw driving and assembly work. These screwdriver bits for five screw head types in 20 standard sizes.